We constantly think about how to help online brands and their products reach the masses so touch the materials and experience amazing design. 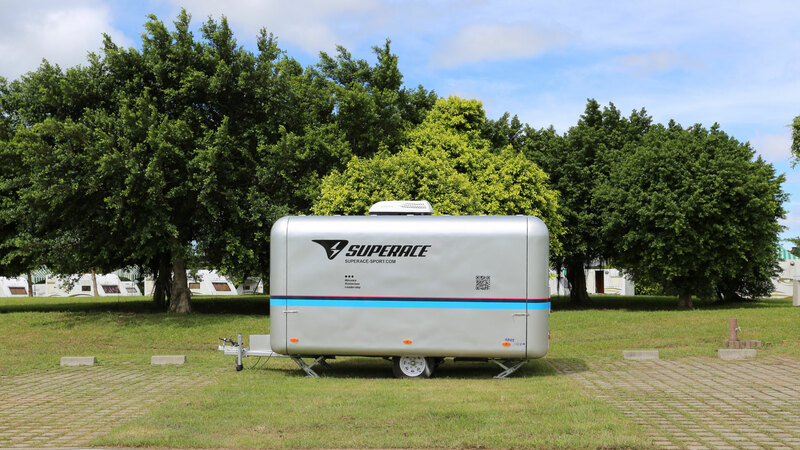 SUPERACE CARAVAN was founded to let athletes quickly “know”, “touch”, and “experience”. 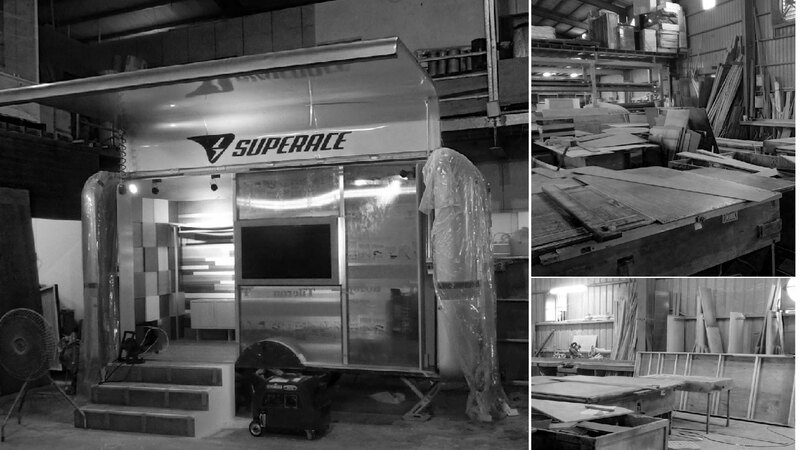 SUPERACE CARAVAN was created by inviting professional auto body structure designers to begin the designs starting from a single brush stroke. Today’s exterior design and the preliminary auto body structural design came from countless discussions and communication. 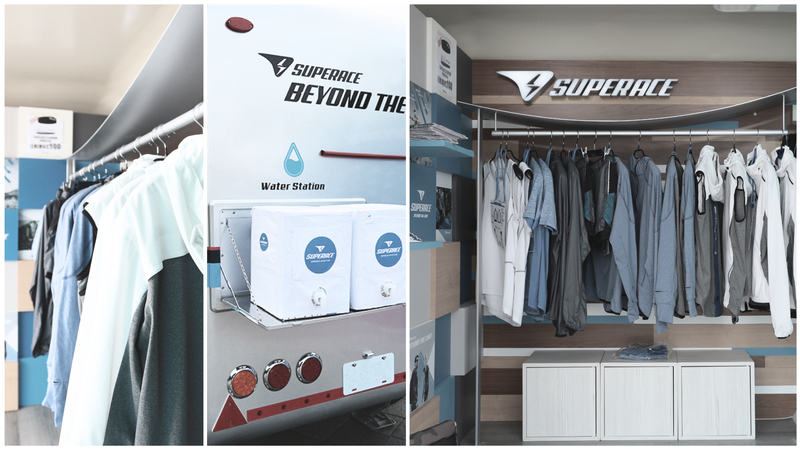 a changing room, and even a professional guide to create a brand new customized shopping environment tailored to athletes. and connect to the SUPERACE website shopping cart to process your payment transaction. and try on styles from the latest season. In the future, we will also pop-up in urban areas to hydrate runners and cheer them on. Check our website for announcements, SUPERACE News, and SUPERACE Facebook. Pay attention to our events, and if you see us, come and say hi!